July 3, 2017 June 30, 2017 Dan O. So wait, who did it? After two decades of all the questioning, all the guessing, all the myths, all the lies, all the rumors, and all the TV specials that your Grandma DVR’d, JonBenét Ramsey’s murder is still such the talk of the town that movies are being made about her life and possible circumstances surrounding her murder. And in this one special made-for-TV reenactment, countless actors/actresses/writers/directors are put on camera to not just talk about her life, but their own as well, and somehow, how the two can connect in ways that they never ever expected them to. Don’t get too happy, kiddie. JonBenet was the same way. But sometimes, that’s not actually the case. 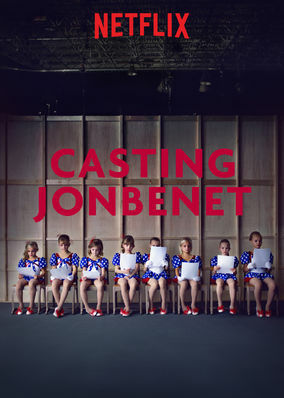 In fact, what mostly happens in Casting JonBenet is that just a bunch of people stare straight into the camera, say some awfully odd, goofy things, and continue on as if nothing was ever said in the first place. Hm, Errol Morris much, eh? Well, yes and no. See, Casting JonBenet wants to so desperately be like one of Morris’ all-time classics, where the outcasts of society have a little something to say to the camera, whether we want to hear it or not, that it’s actually straining itself. It’s not even that the people involved don’t have interesting things to say or ramble on about – it’s just that it goes on too long, without much of anything resembling a focus. It’s as if the camera was just placed and people walked in front of it and embraced as they wanted. With Morris’ movies, he was never seeming to really go out of his way for this kind of zany stuff – it all just sort of came to him. And you could sort of make the argument that that’s what happened to director Kitty Green here, but a part of me refuses to believe it. Green clearly has an agenda here and while there’s no problem with their being one from a documentary film-maker, there’s still something to be said for when that agenda doesn’t quite work. In other words, making fun of people to just make fun of people, while in real life may be the opposite, isn’t so fun to watch. And that’s why Casting JonBenet, as short as it may be, is a little too much to handle. It’s mean-spirited and a little dumb. It’s as if no one involved really cared much about going deeper and further into what these people said, their lives, or hell, even JonBenet’s life itself. Granted, it’s nice that the movie didn’t go out of its way to make this into an investigative piece about what may or may not have happened to JonBenet, but come on, just listening to people talk about it, getting the facts clearly wrong, and never being corrected on it, cannot just get a little irritating, but pretty damn boring. And when you’re making a movie, whether a documentary, or narrative-piece, it doesn’t matter, sometimes, you just have to go the extra mile to make sure your audience is in it. For me, I wasn’t; I know that people have loved this movie and what it does with the medium of documentary film-making, but it just didn’t connect with me. I appreciate what it’s attempting to do, its obvious influences, and some of the people here, but yeah, just not totally for me. Probably why I waited a whole two months to actually get around to reviewing this. Oh well. Sorry, folks. Consensus: Casting JonBenet tries a little too hard to be like Errol Morris, but in doing so, also forgets what makes his flicks so worthwhile in the first place: The reality of a heart and humanity. Pay attention, ladies! Ugh! What divas!